5. Donley, Jimmy Think It Over Tear Drop (Texas) 3007 1962/Nov. 7. Donley, Jimmy Santa! Don't Pass Me By Tear Drop (Texas) 3007 1962/Nov. 8. Donley, Jimmy Baby Heaven Sent Me You Tear Drop (Texas) 3009 1962/Dec. 9. Donley, Jimmy Loving Cajun Style Tear Drop (Texas) 3009 1962/Dec. 10. Donley, Jimmy You're Why I'm So Lonely Tear Drop (Texas) 3017 1963/Aug. 11. Donley, Jimmy Let Me Told [!!] You Tear Drop (Texas) 3017 1963/Aug. 12. Donley, Jimmy Just A Game Tear Drop (Texas) 3026 1964/Jan. 13. 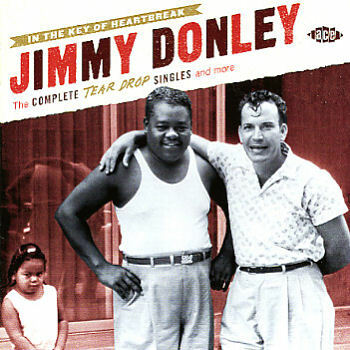 Donley, Jimmy I Really Got The Blues Tear Drop (Texas) 3026 1964/Jan. 20. Donley, Jimmy Santa's Alley Tear Drop (Texas) 3021 1963/Oct.